In this article you'll tour the theme of get hands-on with labs focused on a mix of topics that have yet to be covered yet in this series. You'll experience a Red Hat Open Innovation Labs residency, modern application development techniques, real devops solutions, and data storage in the cloud. Ever wonder what a Red Hat Open Innovation Labs residency is like? Want to experience the methods and practices used by the Open Innovation Labs team to accelerate iterative delivery of working and tested products? Join us in this fully immersive and highly interactive Lego Labs residency. No coding is involved, so no coding experience is needed. - Social contracting / team chartering. - Having fun with lots of high fives. Storage is an inextricable component of every data processing environment. Object storage allows in-situ analysis to use various query engines. In this lab, we'll discuss why object storage for big data workloads is an emerging phenomenon and how it provides a degree of flexibility not possible with traditional approaches. We'll explain how to architect object storage into a data platform, including several popular query engines: Hive, SparkSQL, and Presto. In the hands-on segment of the lab, attendees will learn how to configure various query engines to communicate with an object store using the S3A filesystem client. To demonstrate how public cloud methods can extend to the private cloud, we'll review how to deploy a Ceph-based object store and configure it as an S3A endpoint. Integration Platform-as-a-Service (iPaaS) is reshaping how integrations are developed, deployed, and continuously innovated. Connecting Twitter with SaleForce and SalesForce with Google docs are just a couple of examples of how iPaaS can be used to create innovative new apps. Come to this lab with your ideas and your passion—and build a cool integrated app. We'll aware prizes for the best app and you'll have bragging rights. We'll provide all necessary infrastructure and a tutorial to get you started. In this lab, you’ll learn the practical aspects of developing and running an end-to-end Kafka-based application on OpenShift. In the first part, you'll learn how to run Kafka clusters on OpenShift, then get practical instruction on how to monitor and tune them for performance and resilience. In the second part, you'll learn how to deploy Kafka-based applications on OpenShift by building an end-to-end solution of multiple microservices communicating through Kafka. 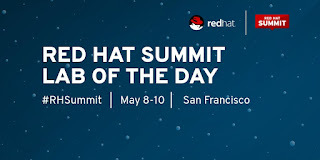 Specifically, you'll learn how to use Debezium to stream database changes out of an existing application, how to run Kafka Connect sinks that write streaming data to external systems, how to process data streams using Kafka Streams, and how to use create and deploy Kafka microservices using Red Hat OpenShift Application Runtimes. One of key differentiators of Red Hat JBoss BPM Suite is that it is a completely open RESTful API. As a result, you can flexibly fit your process into any desired interface. In this hands-on lab, we'll examine a BPM application, understand the architecture of the BPM engine, and review some important API calls. Next, we'll expose those APIs with Red Hat 3Scale API Management and take a look at how access to the APIs can be managed. Finally, we will use those APIs and generate a task list in a mobile app using Red Hat Mobile Application Platform. Although continuous delivery (CD) and DevOps are growing in popularity, there is not much practical information available about how to get started and build automated pipelines across containers and traditional infrastructure. Particularly, most applications today follow the hybrid model, combining components deployed on containers with services that run on virtual machines (VMs) or public cloud services provided by Amazon Web Services, Google Cloud Platform, and Microsoft Azure. In this lab, you will learn how to automate software delivery for hybrid applications that stretch over containers, VMs, and public clouds—from source code commit to deployment in production using Jenkins, Red Hat OpenShift, and Red Hat Ansible Automation—from the ground up. This lab requires basic familiarity with continuous delivery and DevOps concepts. However, no previous experience with these practices is required. As microservices-based applications become more prevalent, both the number of and complexity of their interactions increases. Up until now, much of the burden of managing these complex microservices interactions has been on the application developer, with different or non-existent support for microservice concepts depending on language and framework. The service mesh concept pushes this responsibility to the infrastructure, with features for traffic management, distributed tracing and observability, policy enforcement, and service/identity security, freeing the developer to focus on business value. In this hands-on lab, you will learn how to apply some of these features to a simple polyglot microservices application running on top of Red Hat OpenShift using Istio, an open platform, to connect, manage, and secure microservices. In this lab, you’ll learn how to use open source tools and frameworks from radanalytics.io to develop and deploy intelligent event-processing applications on Red Hat OpenShift. We’ll start by explaining some of the concepts behind stream processing. Next, we’ll show you how to develop a basic log-processing application and refine it by adding summarization, queries, and features that take advantage of artificial intelligence and machine learning. Wish you could learn how to build, develop, and run containers successfully in production? Attend this hands-on lab to learn how to do all of this—and much more—on the Kubernetes-based OpenShift platform. You’ll complete exercises that walk you through building, deploying, scaling, and even performing A/B testing on your applications. You’ll also be able to deploy a stateful application with a database and polyglot back-end services. A serverless paradigm, together with functional programming, is becoming a new methodology of developing and deploying applications without worrying about configuring them or knowing which server to run them on. There are already many proprietary implementations of this on public clouds, but in this lab, we'll give a step-by-step demo of how this new methodology is possible, and magnified, inside Red Hat OpenShift. You get the most benefit from major open source, serverless implementations inside an open source container-ready platform like Red Hat OpenShift Container Platform. It's a serverless Platform-as-a-Service (PaaS), free of vendor lock-in. 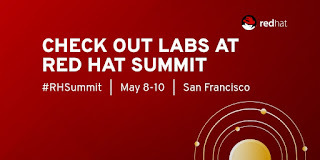 Check out more Red Hat Summit 2018 Labs online under the tag #RHSummitLabs.